Lately it seems I'm drawn to books that turn out to be sad or more depressing than I expected. 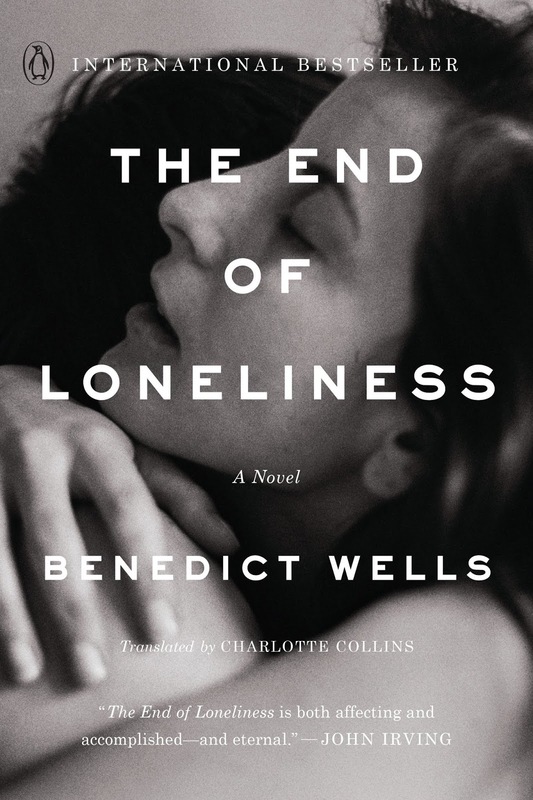 So is the case with The End of Loneliness, it's translated from German, deep, moving and sad. Set in Munich Germany in the 80's, this story follows Jules Moreau who was just 11 years old when his parents died in a car accident and he and his older siblings, Liz and Marty were orphaned. Sent to a depressing boarding school the trio is separated and Jules withdraws more and more into himself. It's a girl named Alva who has her own sad past who begins to make Jules see some light at the end of the tunnel. As adulthood approaches sadly, Alva moves on while Jules struggles with his life and wonders whether he might ever see her again. The story begins some 30 years after the children were orphaned after Jules was involved in a terrible motor bike accident. I thought the characters were fairly well explored and shows how each sibling dealt with the tragedy and loneliness factor they experienced in early life. It makes you think about how different your adult life might be had fate not intervened at some critical juncture. While I like how deep the author got into his characters, at times the translation came across strained. It was a very good effort by the author but, for me, just too much of a downer overall. I have this on my TBR list, but now I think I'll wait and see if any others give it a higher rating before I move it to the top of my list. Yes, lots of spam comments lately! I added this to my list earlier this year, mostly because I'm interested in contemporary German novels in translation. This does sound like a very sad one. I'll keep the book on my radar. I do hope you enjoy some spring-like weather soon, and at the least, some bright sunny days. I can always do without a good downer! Thanks for your honest review of this book. It does sound like a sad story. Sometimes I'm in the mood for a book like that but not right now. Sounds very emotional. Maybe too sad for me. Too bad this one was a downer. Good for trying a translated book Diane! In my experience, such books are usually different in some way.